Has Chicago’s Minasian Oriental Rug Gallery gone flat? In a certain sense, yes – – they’ve hung a fabulous show of Indonesian flatweave textiles rather than their usual rugs. The exhibition, entitled “Island Magic: Court and Tribal Textiles from Indonesia” runs through the 10th of January, and was reviewed in HALI this month. Rare, old ceremonial textiles of Indonesia have been attracting far more serious attention recently, as they should. 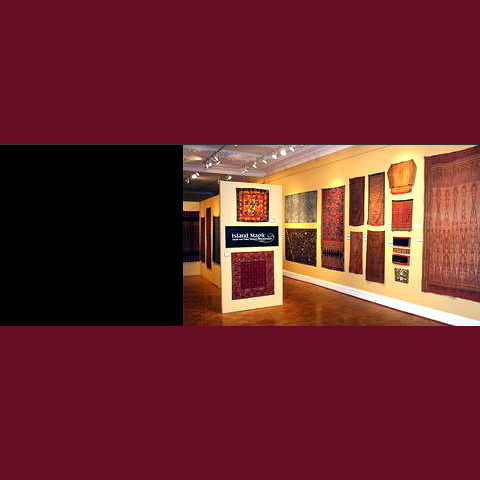 Museums in both Chicago and Los Angeles have major shows of Indonesian textiles on their exhibition calendars for 2008-2009.